Danielle Belgrave is a Researcher at Microsoft Research Cambridge. She also has a (tenured) Research Fellowship at Imperial College London. She received an MRC Career Development Award in Biostatistics (2015 – 2018) with the project “Unified probabilistic latent variable modelling strategies to accelerate endotype discovery in longitudinal studies”. Her research focuses on integrating expert scientific knowledge to develop statistical machine learning models to understand disease progression over time. She is particularly interested in probabilistic graphical modelling frameworks to identify personalized disease management strategies through understanding the underlying latent manifestations of disease and their distinct characteristics. Javiera Guedes obtained a double bachelor’s degree in Physics and Astrophysics at UC Berkeley, and a PhD in computational astrophysics at the UC Santa Cruz. She was awarded top prizes such as the Hubble and Einstein Fellowships for her contributions in the fields of planet formation, black hole dynamics, and galaxy evolution using high-resolution cosmological simulations. She worked as a data scientist at Teralytics, a big data analytics company that uses cutting-edge technology, where she used Scala and Spark to derive mobility insights from billions of telecom events (watch her talk at the Spark Summit Europe 2016 here). Javiera joined Credit Suisse in November where she extracts insights from customer data in order to provide targeted content. Gemma heads the AI and Advanced Analytics department at Allianz with global market scope. Prior to joining Allianz, she led research in the area of Machine Learning at INRIA, France, where she holds a tenured position since 2010. Gemma previously worked as a researcher at the Helsinki Institute for Information Technology, Finland, and received her PhD in Computer Science from the Technical University of Catalunya, Barcelona, Spain. Gemma loves to connect business with new data technologies and she aims at contributing with her work to an open and sustainable data-driven society. Tilke Judd is a Product Manager working on the Google assistant. During her 5.5 years at Google she was a product manager on Google Alerts, Google Search and the Google Assistant. Prior to Google she completed her BS in Math, and MS and PhD in Computer Graphics from MIT while dabbling in digital video making and competitive ballroom dancing. Originally from the United States, she now lives and works in Zurich. When not at work she and her husband like to take their twin toddlers hiking. Isabel Valera is currently leading the Probabilistic Learning Group in the Department of Empirical Inference at the Max Planck Institute for Intelligent Systems in Tübingen. Prior to this, she was a post-doctoral researcher at the University of Cambridge working with Zoubin Ghahramani, and previously, she was a Humboldt post-doctoral fellowship holder at Max Planck Institute for Software Systems, where she worked with Manuel Gomez Rodriguez. She obtained her PhD in 2014 and her Master degree in 2012 from the University Carlos III in Madrid. During her PhD, she worked under the supervision of Fernando Perez-Cruz. Kornélia Papp is an NLP Data Scientist in the Machine Intelligence Team at Swiss Re. She currently focuses on legal text understanding and text classification solutions. She previously worked on several projects developing language technology applications in the area of speech technology, machine translation, fraud detection and natural language generation. Kornélia holds a PhD in cognitive linguistics and has more than 10 years’ experience in language technology. She is the founder of the Natural Language Processing & Text Analytics Meetup in Zurich, Switzerland. Maria Gabrani is a Research Staff Member at IBM Research Zurich since 2001. Her research has focused in image processing and pattern recognition techniques, used to extract meaningful information from data in different application areas, from medical imaging, to video processing, drug discovery and computational lithography. She has led several international, interdisciplinary projects, across IBM and with external partners, leading to significant contributions to IBM’s next generation products. Currently she is focusing in the development of methods and tools to analyze histopathological and molecular expression images for clinical purposes. Before joining IBM, from 1999 until 2001, Maria worked for Philips Research, in Eindhoven, The Netherlands. She holds a Ph.D and MS degree in Electrical and Computer Engineering from Drexel University, Philadelphia, PA, USA, and a Diploma in Electrical Engineering from Aristotle University, Thessaloniki Greece. Maria has received several awards including two Outstanding Technical Achievement awards, from IBM Corporation, a Technical Achievement Award, from IBM Research Division and best paper awards, among them from NASA/Goddard Space Flight Center, Image Registration Workshop. She currently holds two master degree, first, with specialisation of Distributed Systems, that she obtained from both UPC, Barcelona and KTH, Stockholm, and second, with specialisation of Applied System Analysis and Decision Making from NTUU KPI, Ukraine. She had received numerous scholarships during her studies, including, Anita Borg Scholarship, GHC grant, President scholarship of NTUU KPI, etc. Her current interests are Applied Machine Learning, NLP, Time series prediction, Text mining. Barbara Plank is assistant professor (tenured) in NLP at the University of Groningen. She holds a BS and MS in Computer Science and received her PhD in NLP in 2011. Originally from South Tyrol, Italy, she worked and lived in the Netherlands, Italy and Denmark. She will join IT University of Copenhagen as associate professor in NLP & ML this summer. She is interested in robust language technology, in particular cross-domain and cross-language NLP solutions, learning under annotation bias, and generally, semi-supervised and weakly-supervised machine learning for a broad range of NLP applications, including syntactic parsing, author profiling, opinion mining and information and relation extraction. Saki Shinoda is a research scientist at RKR Capital in London, where she works on developing systematic trading strategies using deep learning and reinforcement learning. She has previously worked in machine learning for bioinformatics at Novartis and as a data scientist in an e-commerce startup. She holds a master's degree in Computational Statistics and Machine Learning from University College London (UCL) and a bachelor's in Natural Sciences from the University of Cambridge. While at UCL she researched deep learning methods for semi-supervised learning in the Computer Vision group, and presented her thesis as a paper at NIPS 2017. Her research interests are centred around data efficiency for deep learning and reinforcement learning. Sophie received her PhD in genetics from the University of Basel. She joined Novartis in 2004, first as a post-doctoral fellow and then as research investigator in the NIBR Developmental and Molecular Pathways department (DMP). 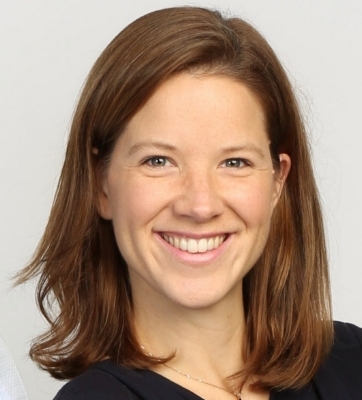 Sophie initially leveraged her expertise in bioinformatics and functional genomics to contribute to the establishment of the HIP-HOP platform, before developing a systematic transcriptional profiling initiative aimed at gaining better insights into molecular pathways underlying diseases and the relevance of pre-clinical models. 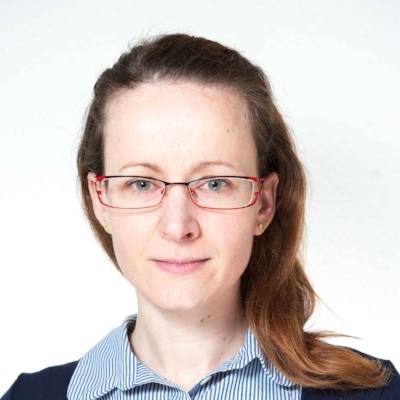 In 2011, Sophie joined the musculoskeletal disease area within NIBR and since 2013, leads its Data Science group, dedicated to impacting musculoskeletal research at NIBR with state of the art data science. Sophie is a member of the disease area leadership team and decision board, and contributes to strategic decisions and initiatives to ensure prioritization of the most promising drugs on their path to the clinic and ultimately to patients. Mother of two wonderful teenagers, when she is not capturing and analyzing data or mentoring, Sophie follows her passion for stage performance as a member of the amateur theatre troupe of the “Alliance Française de Bale". 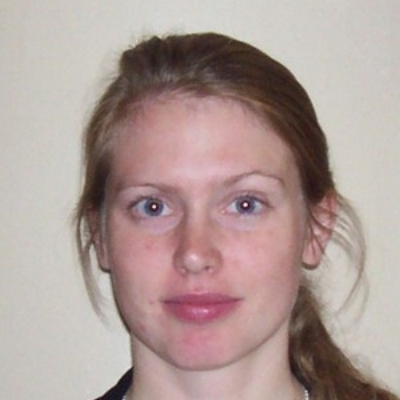 Stephanie Hyland is a PhD student in the Tri-Institutional Training Program in Computational Biology and Medicine at Cornell University and Sloan Kettering Cancer Centre, working at ETH Zurich. Her work focuses on applying and developing machine learning approaches in collaboration with clinicians to solve real-world problems in healthcare. She is particularly interested in the question of predicting patient deterioration in the intensive care unit. Prior to her PhD, Stephanie studied theoretical physics at Trinity College Dublin, before doing Part III of the Mathematical Tripos in Cambridge University, where she was a Gates Cambridge Scholar. Monica Epple joined Swiss Re in June 2016. She is responsible for the team of data scientists, communication (e.g. Digital Case Book) and analytics consulting. She has a long time experience in the International Management Consulting Industry where she focused on Digitization, Telematics and Big Data Strategies for Primary Insurers and Reinsurers. She drove various Pilots and Applications on Motor Telematics and Wearables. Monica started her professional carrier with a Primary Insurance Company in Germany and worked there for more than 10 years as a line Manager in the Claims Department and Corporate Underwriting Business. She holds a Masters degree in Insurance from the University of Leipzig in Germany. In addition she graduated as Dipl. Finanzwirtin (FH) and Wirtschaftsinformatikerin (VWA). Outi Simula, Associate Partner at McKinsey & Company, focused on Digital, Data and Advanced Analytics transformation. Prior to McKinsey, Outi has a Msc in Economics, with focus on Econometrics, and worked at Citigroup Global Capital Markets. Outi is passionate about digital & analytics capability building at scale, to enable increased productivity and continued growth one hand, and to mitigate the potential negative societal impacts of accelerating automation. Sara Bruce Wirta, PhD, works with the Novartis global Real World Evidence (RWE) Center of Excellence as a senior RWE scientific lead. In this role, she has strategic and operational responsibility for the design, conduct and reporting of global RWE studies in the area of cardio-metabolism. 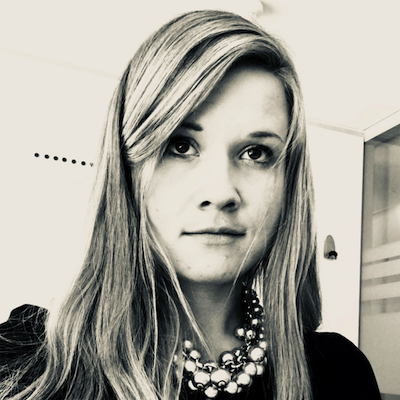 Sara joined Novartis in 2016, coming from IMS Health where she was working for five years as a Nordic Senior consultant in Health Economics and Outcomes Research and RWE, with the primary focus of RWE generation through Nordic Health Registers and structured EMR data. Sara has a background in academia, and received her PhD from Karolinska Institutet, Sweden in 2009, where she was doing research in the field of genetics/genomics and genetic epidemiology. Heta works as a Cloud Technology Advisor for a portfolio of customers consisting of international non-profit organisations headquartered in Switzerland. Her role is to accelerate digital transformation, customer engagement journeys, enhanced collaboration and provide a 360-perspective on data intelligence and mobile innovation. Heta has 7+ years experience advising, designing, customising, managing, and implementing cloud-based solutions around Europe. She has Masters degree in Science, Business Administration and also Social Sciences from the University of Helsinki and Ludwig-Maximilian University of Munich. In addition to Heta’s role as an Executive Technology Advisor and customer advocate, Heta leads the Salesforce Women Network in Switzerland and co-leads Salesforce’s Voluntary Work committee in Zurich. Heta is passionate about giving back and enabling change in organisations. She is truly inspired by the use of digital innovation and data science as a means of making the world a better place – constantly thriving for equality, sustainability, education and peace.